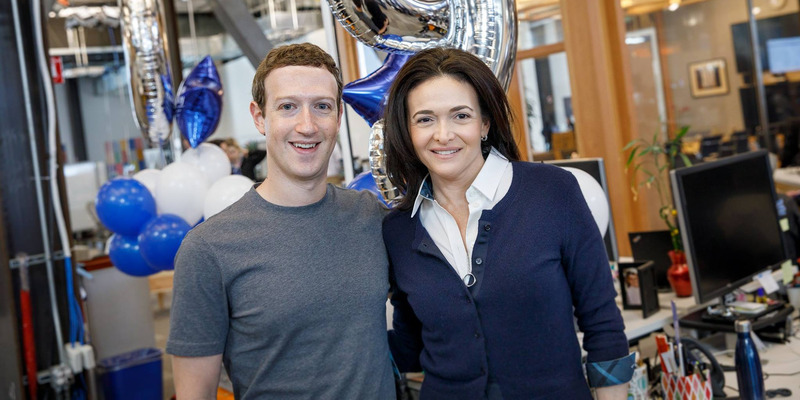 FacebookFacebook CEO Mark Zuckerberg and COO Sheryl Sandberg. “Mark, Sheryl, and their teams are working around the clock to get all the facts and take the appropriate action moving forward,” a Facebook representative told Business Insider. Facebook has been rocked since news broke on Friday that the social media giant was banning the British data company Cambridge Analytica – which has ties to Donald Trump’s 2016 presidential campaign – for obtaining information from as many as 50 million Facebook profiles by abusing Facebook’s data-sharing features. Though they are not in hiding – Zuckerberg has been active on Facebook – they haven’t said anything about the incident that has sent Facebook stock plunging more than 10% since Friday. However, the two Facebook leaders are aware of the issue and have been strategising and arguing over the right response, Wired reported on Tuesday. They have talked about topics like how to fix Facebook’s internal systems, whether Zuckerberg should testify in front of Congress or Parliament, the possibility of a lawsuit against Cambridge Analytica, and, most intriguingly, what to do about a former Cambridge Analytica founding employee who now works for Facebook. But still, they haven’t said anything as of Wednesday. Facebook even had an unusual internal question-and-answer session about the scandal, but neither Zuckerberg nor Sandberg was there – instead, a Facebook lawyer ran the meeting. “Mark, Sheryl, and their teams are working around the clock to get all the facts and take the appropriate action moving forward, because they understand the seriousness of this issue,” a Facebook representative said when asked about the meeting. Zuckerberg’s and Sandberg’s reluctance to comment on the issue is causing consternation among Facebook employees, according to a slew of reports quoting employees as wondering why they haven’t heard from Zuckerberg, who owns the majority of Facebook stock and controls the company’s board of directors. “The prevailing sentiment is: Why haven’t we heard from Mark?” one employee told The Verge.